Credits to this wonderful artist for the backdrop. Hello and welcome to the first episode-by-episode blog post I've done in a long time. Since this segment is still a work in progress, I'll probably limit my posts of this type to one per season, but we'll see how things continue. Now you may be asking, what does the O&A mean at the end of this title? Well, even though I'm delving into a more common area in anime blogging, I'd like things to be different here at Shooting Star Dreamer. So instead of the generic review, I'll be highlight and giving an overview of each episode and providing thoughts along the way. Lastly, I'll be extracting different things from the anime and making the symbolism public. Thus, this segment is called O&A (contrary to Q&A) which stands for Overview and Analysis. With that out of the way, let's continue! 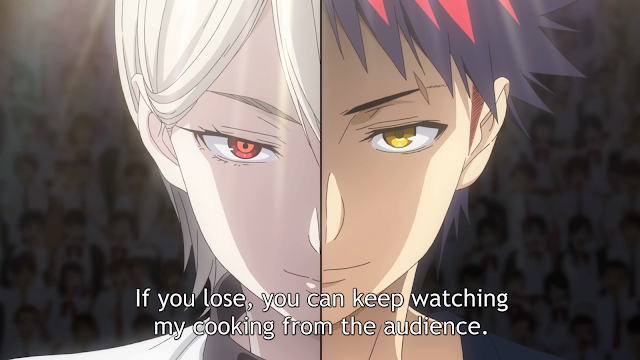 To kick things off, I'll covering my favorite anime this season: Shokugeki no Souma: Ni no Sara. So let's get to it! Takumi Aldini showcased in the quick intro. Season two starts right up without wasting any time, jumping right into the Autumn Elections. 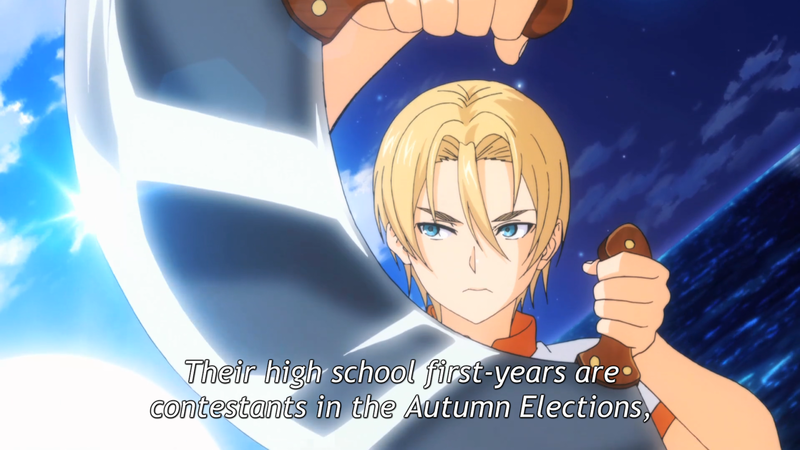 We're not given much of a refresher before the competition of the episode, and the anime seems to be moving a bit faster than it was previously. Perhaps this is only for the first episode, or it may be a theme throughout the whole series. Still, it's clear that we're still watching the same, good Shokugeki. "Tadokoro hasn't changed at all!" After the small intro, we get a moment to see Tadokoro preparing (somewhat frantically) for her match as she is set to cook on the same day as Souma. The shot above really shows quite the contrast between the two on the big day. 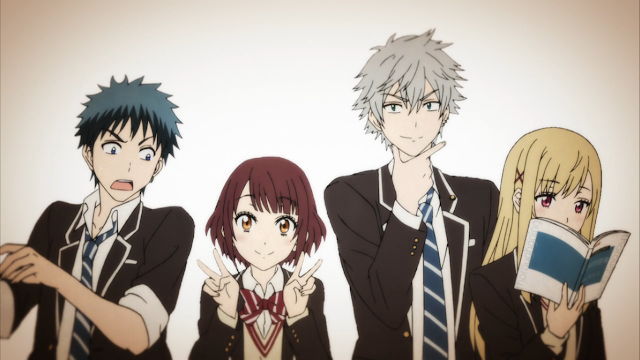 We then move to the arena, waiting for the first match between Yukihira Souma and Nakiri Alice to begin. After witnessing a somewhat long-winded explanation from Erina, we discover the theme of choice for this match is surprisingly bento, which is somewhat of a simple dish. Now, bento in the western world is equivalent to a lunch box, where food is prepared and protected to be eaten at a later time. Bento boxes can contain a variety of different meals and dishes, and have varying layouts. As seen in this episode, Bento boxes are usually divided into small compartments, with each being used for a separate dish. Such a dish seems to be in Souma's favor, due to it's simplicity. However, the cooking begins and Alice seems to have a special recipe up her sleeve. As seen in previous episodes, Alice is known for her dishes that are somewhat unique and "out there." They also make use of futuristic or scientific techniques and rely less on standard methods. 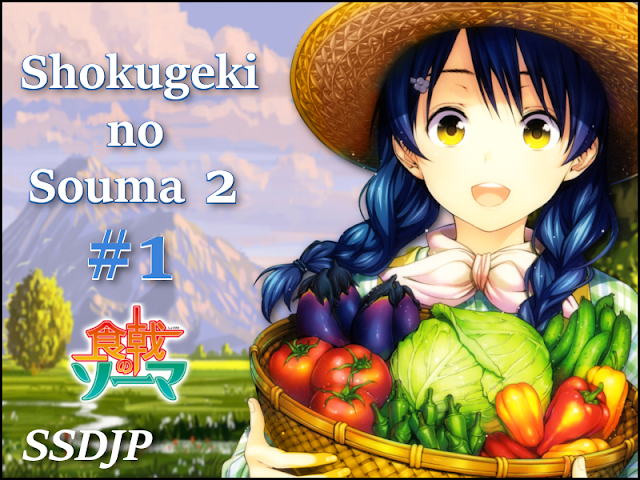 We rarely see her use technique like hospitality and heart/adaptability, which are the focal points of Tadokoro and Souma's cooking. This is where things get interesting and the symbolism comes to play. Alice vs Souma! More than a battle of cooking, but a battle of character. 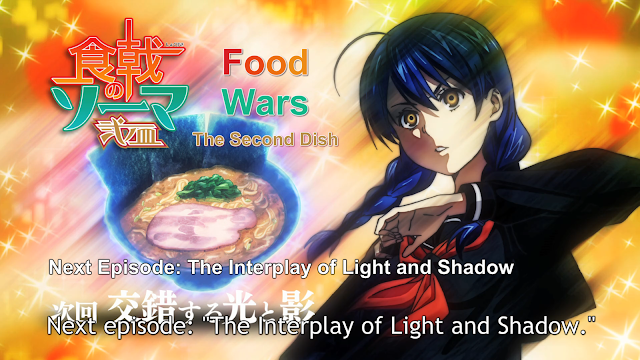 From here on I feel this episode focuses less on cooking, but more on the characters and development between the two. Thus, the analysis begins. At a glance, Alice and Souma are two very different characters; not just in personality but color scheme, as seen from the image above. Alice features little to no color in her appearance. 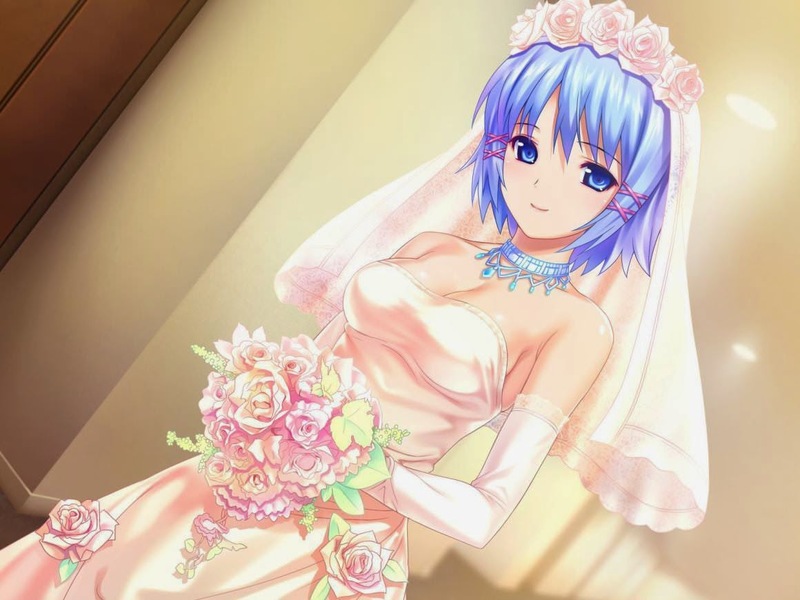 She's composed of white or silver hair, a basic white outfit, and pale skin. The only thing that contains any color are her red eyes, which may hint towards her inner nature. After all, eyes are said to be the windows to one's soul. On the other hand we have Souma who is pretty colorful. He has vibrant red hair, tan skin, a black or bluish outfit, and yellow eyes to boot. Their appearances are near opposites. Now we can think about their styles of cooking and how these colors are related. Alice's cooking can be described as very methodical. She produces unique works yes, but they're all carefully crafted and scientific in nature. Such an approach is fitting for a dull color scheme. 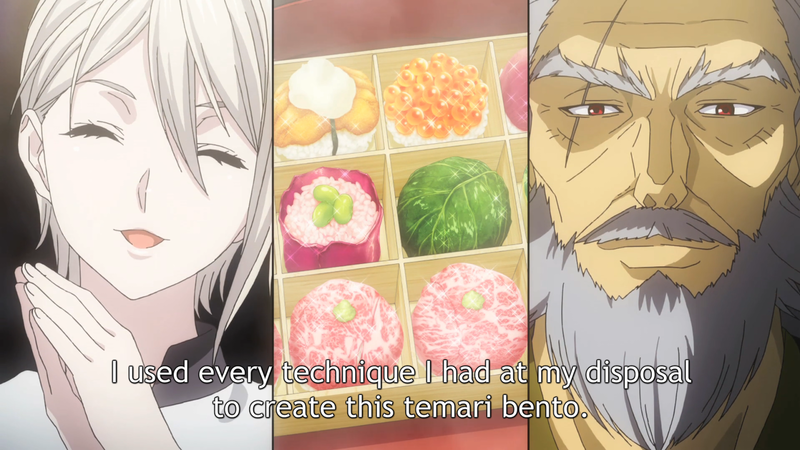 We can even see this in action as she presented her temari bento to the judges. Take note; each of the dishes are placed side by side neatly in a fashion where they can be easily selected. The judges take note of her dish and how well-crafted it is. They all enjoy it and remark on the finer points of the dish. Now there's a lot to be said about the dish in term of edibility and cooking skill, but what I took away from this was a bit different. Throughout the entirety of her turn in serving the judges they remarked on how wonderful the dish was, and even commented that it was like eating at a traditional Japanese restaurant. 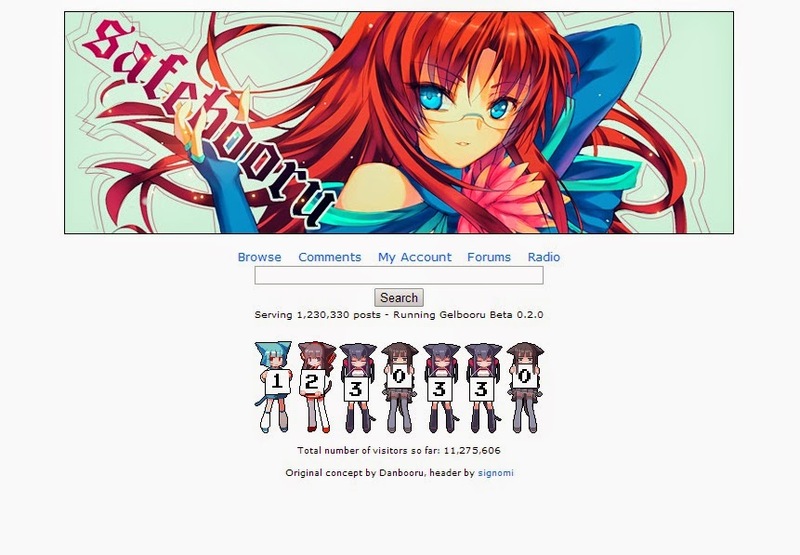 They were even amused at how she put all her skills to use in a theme even this simple. 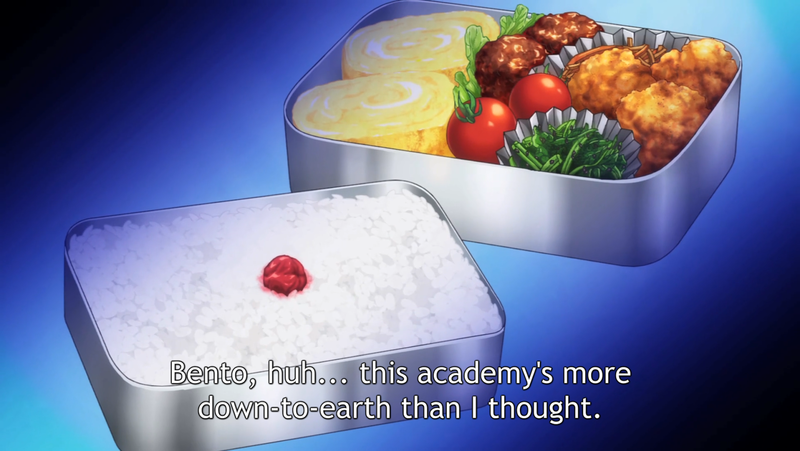 The thing is, the key trait of her bento was that the judges knew mostly what they were getting, and of course it was something that tasted well...good. While her cooking and presentation were superb, and her techniques were impressive, her dish lacked heart. You can learn a lot from kids! 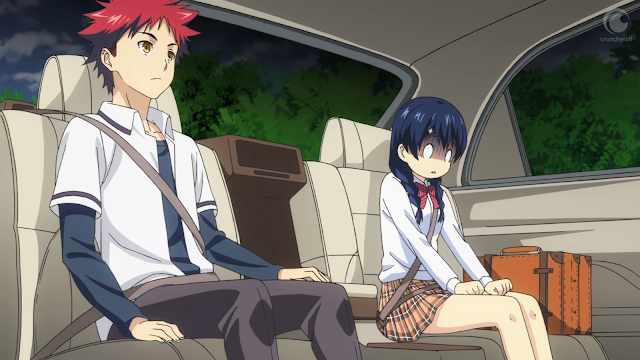 Of course after this, it's Souma's turn. 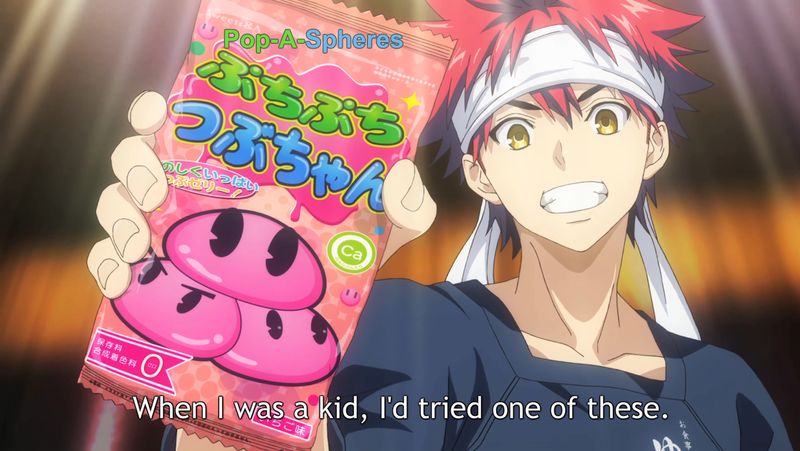 Souma as the king of innovation when it comes to dishes and bringing out the unexpected, packs a bento that is in direct opposition to Alice's. His bento is simple and a bit more plain in comparison, but filled with surprises. Also, the effort put into it was fueled differently. Souma uses less of the by-the-book approach and a more humanistic take when it comes to his cooking. His motivations are fueled more by the interactions he's had with others such as children, his old customers, and his own experience. This goes as far as making use of a children's candy to spice up his dish. 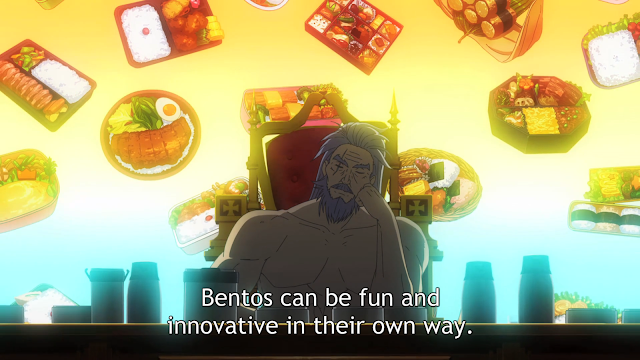 Even the Director of Totsuki Academy remembers that fun and innovation are key ingredients in successful cooking. Upon tasting Souma's bento the judges began to smile and went through quite a few scenes of silliness. The main point of this was that the judges were having fun eating's Souma's food. They were more entertained by the surprises that his cuisine offered and enjoyed the innovation. At this point, the winner of the match was pretty much clear. With this being said, I do not necessarily believe that Alice's cooking is bad. 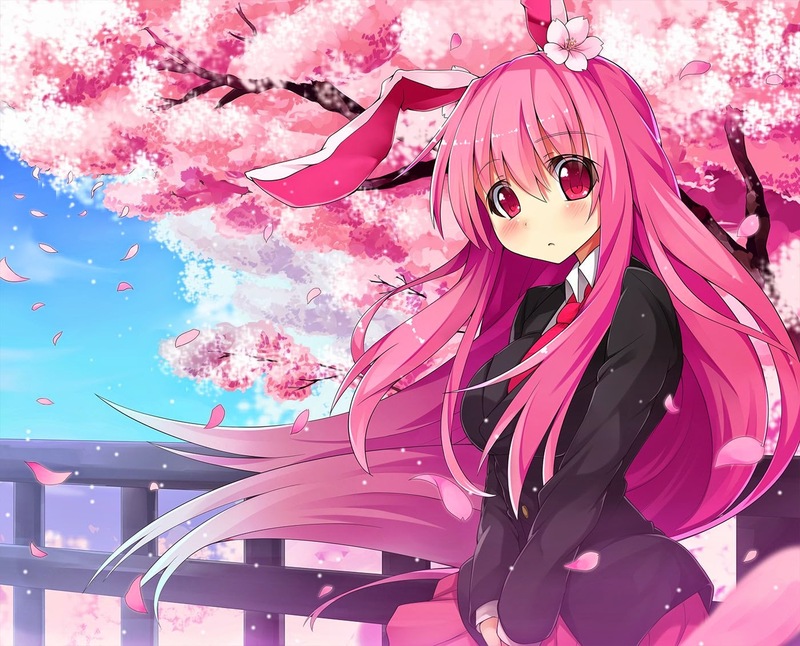 I also do not think that Alice's personality is "wrong. 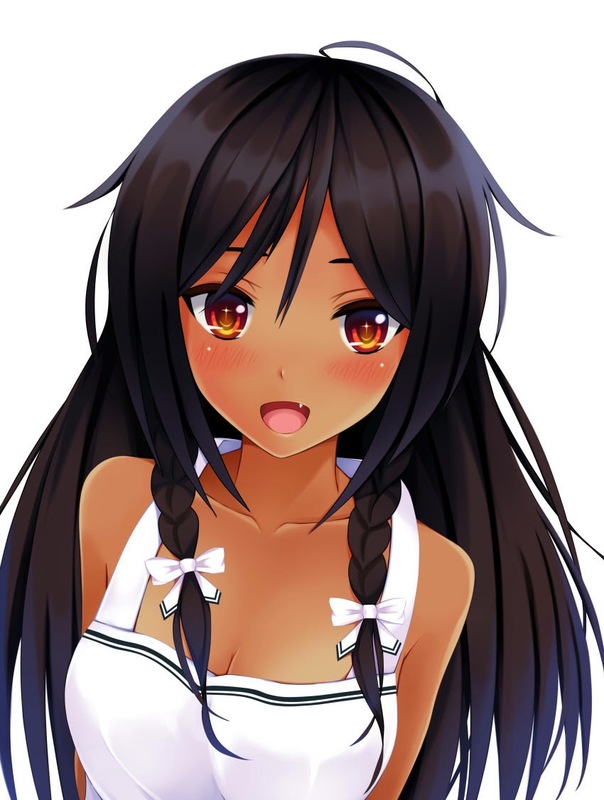 "She appealed to judges in taste and quality, but Souma appealed in innovation and enjoyment. To top it off, he made use of scientific techniques as well to make the finished product taste good. At the end, the match was a battle between technicality and humanity. Alice and Souma representing each respectively. I believe this episode was a great one for both Alice and Souma, as we got to understand both characters a bit more. Alice may have lost this fight, but I feel like her cooking will be a lot better in the future. With Souma moving on in the tournament, we await for Tadokoro's match in episode two! Apologies if this is a long read. This is a new topic and it may take a bit of time to get used to. Please leave feedback and comments below, I will most certainly read them all!